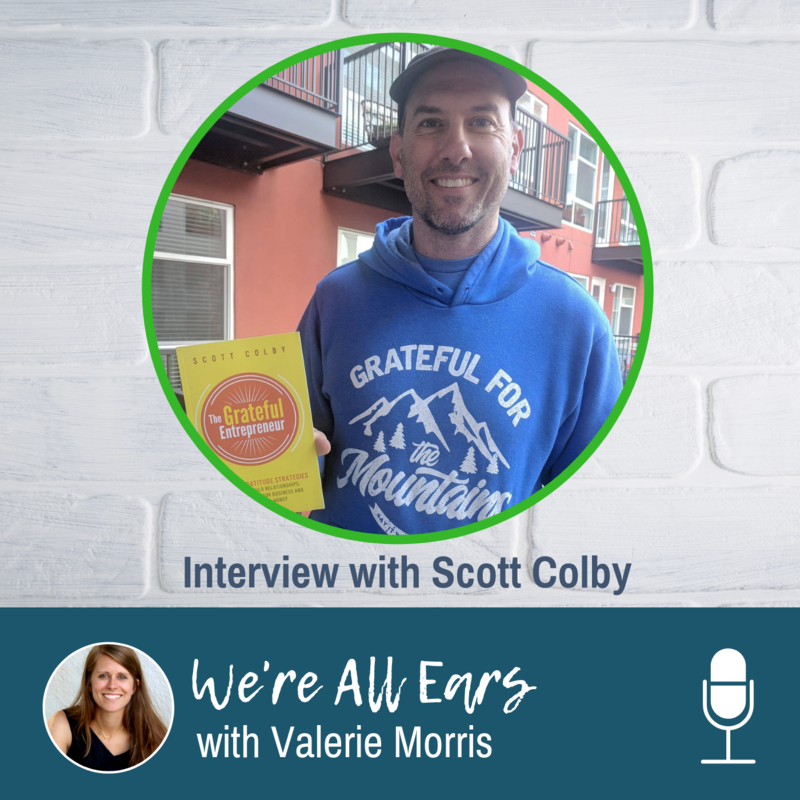 Scott Colby is the founder of Say It With Gratitude and a consultant. Say It With Gratitude offers services, products, and speaking to help businesses incorporate gratitude into their daily culture. Scott is also the author of The Grateful Entrepreneur. Be aware of where you’re at. Change your mindset and be aware of your mindset when you’re complaining. How can you flip it? Can you find the good in it? Make gratitude part of your daily routine, from the start of the day. Make a conscious point to have this in the morning. Scott can tell a difference when he doesn’t have these in his mornings. Come from a place of truly wanting to help people and sharing their content. Focus on truly connecting with people! Go into relationships with the intention of how you can truly help them first, rather than what you might be able to get out of the relationship. If you come in too intense and selfish at first, you will repel the other person. Be genuine to build relationships to build trust and friendship. Think about a time when YOU felt like a transaction? How did you feel? What did they do? What could have made that experience better? Learn from these experiences and how you might be able to truly build relationships and not treat people like transactions. Interviews are a great way to build influence and build new relationships as you grow your business. It’s a great strategy to feature their expertise and grow your reach within their audience. Build relational equity with people over time. Show them love and support. Start conversations and engage back with people consistently. When you need help, your friends will be glad to help you with your request! Stop giving into comparison syndrome. Use other people around you to elevate you and your goals, rather than let them discourage you by their success. Find five things you could share that someone else created. Send thank you notes (handwritten!) whenever you can. Write them religiously. Most people don’t do that, so you will stand out from the crowd.